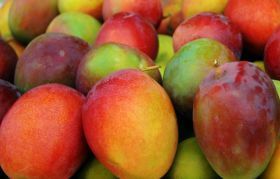 Mango exports from the Dominican Republic topped the US$17.6m mark last year, according to agriculture minister Angel Estevez, who has been speaking with mango growers across the country to promote an event - Mango Expo 2015. Estevez said sales had been driven by high quality, and claimed that the country could boost production by 1,000 per cent in the coming years. Indeed, Estevez and foreign ministry international cooperation director Laura Naut said the country could increase exports from 2.5m boxes per year to 25m boxes if growers and authorities worked together, given favourable climatic conditions and geographical location.